Dr. Shaun Casey will deliver brief remarks about how the U.S. is currently engaged with global religious actors to further diplomatic and foreign policy priorities. Dr. Casey the U.S. Special Representative for Religion and Global Affairs and advises the Secretary of State on policy matters as they relate to religion. 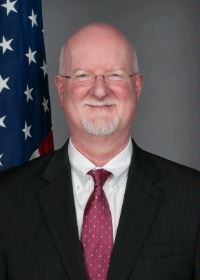 Shaun Casey is the U.S. Special Representative for Religion and Global Affairs. He has written on the ethics of the war in Iraq as well the role of religion in American presidential politics. His book, The Making of a Catholic President: Kennedy vs. Nixon 1960, was published by Oxford University Press in January 2009. He is working on two writing projects. He is co-editing the Oxford Handbook of Political Theology with Michael Kessler of Georgetown University and he is writing a book on ethics and international politics tentatively titled Niebuhr’s Children. He is a graduate of Harvard Divinity School with a Master of Divinity Degree and a Doctor of Theology in Religion and Society. He also earned a Master of Public Administration from the Kennedy School of Government at Harvard University with a concentration in International Security. He earned a Bachelor of Arts degree from Abilene Christian University. He is a member of the American Academy of Religion and served as chair of its Committee on the Public Understanding of Religion. He was a visiting scholar at the Center for American Progress and a subject matter expert in religion at the Center for Strategic and International Studies.